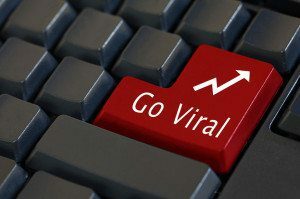 Every marketer wants their content to be a hit and “go viral.” Viral content gets your brand in front of huge numbers of people, which can result in an impressive boost to your bottom line. There’s no set formula for making your content go viral. A lot depends on luck. But there are some things you can do to push your content in the right direction and increase the chances of your content going viral. Make a connection. Emotions are what motivate people to act. So making an emotional connection is a powerful way to influence behavior. When crafting your content, strive to make it resonate with your audience by incorporating emotional imagery and words. People will want to spread your message. Partner with influencers. Find influencers by researching well-known blogs in your niche or tracking popular hashtags on Twitter. Before reaching out to influencers, comment on their blog, share their content, include them in a round-up post or thank them for their insights on social media. Once you’ve established a relationship, message them to let them know you’ve created content they might like. If they like it enough, they might share it with their followers. Opt for imagery. Posts with images or video are more likely to be shared. It’s easier to create an emotional connection (see above) with visuals. Plus, people retain more information when content is paired with visuals. Create an infographic, turn a PowerPoint into a slideshow, or use your smartphone to record a behind-the-scenes video. Not every piece of content you craft will become a viral sensation. But when you include these approaches in your content strategy, you’ll help turn the tables in your favor and improve your chances of going viral.